How to Pick a Ride-on Toy for Your kid? It is true that when your kids pass the toddler age they suddenly become active. When they reach the age 3, they don’t want to sit on the stroller and being pushed around. As a parent you need to identify these changes of his age and it is needed to surround him with age appropriate toys. 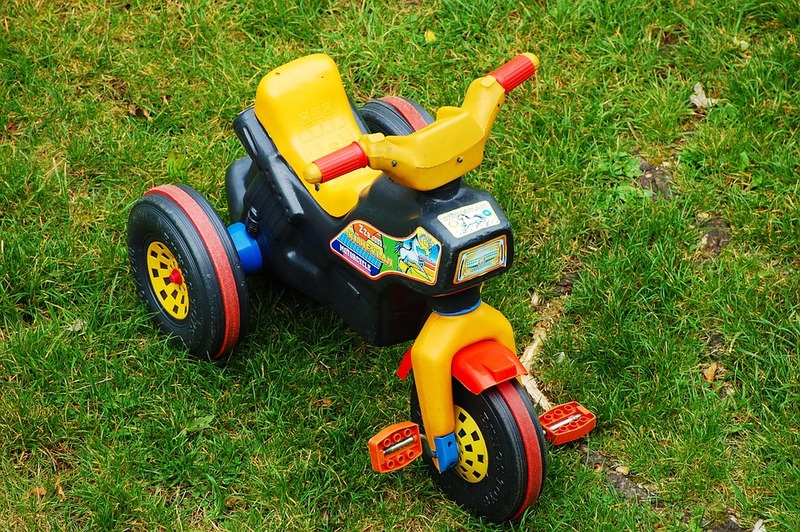 For the kids who are near or above 3 years old, it is always good to introduce for ride on toys such as scooter, trike or even a balance bike which they can spend active time while learning to ride on the items. However, you need to have some idea on the best suitable ride on toys for kids according to their age range. Not all Ride on toys are suitable for young kids. So, here are some tips on picking a ride on toy for your kid! Consider the age of your kid and buy ride on toys accordingly. Below are some suggestions with the age group of kids. It is always suitable to introduce Scooters for kids when they are in 2-3 years old. At this age, young kids learn how to balance. Therefore there is no harm if your child learns how to ride on a scooter! Ride on toys can be in a range from rocking horses to tricycles. If your kid is younger, then it is always good to go with a simple ride on toy as it will be easier your kid to ride the toy. When your kid is growing up, still you need to introduce toys for him or her. Before buying him a bicycle, it is good to use a balance bike. By using a balance bike; you can prepare your kid for the next adventure which is riding a bicycle alone. However always remember to read best balance bike reviews before you buy a balance bike for your kid. Remember, a balance bike is not a bicycle, but it is good way to learn how to ride a bike while keeping balance. When your kid is well experienced with using a balance bike, then you can go for a bicycle which is appropriate for his age. Other than the age range, you always need to consider safety and health effects of using such toys for kids. If the toy you buy is not made with proper safety guidelines. These can be harmful for kids in many ways including safety. Avoid ride on toys which has sharp edges and small removable parts if your kid is below 3 years old as these can create safety issues. Some ride on toys comes with music, lights and colourful designs which are good for early learners. So, considering a beautiful design won’t harm your decision of buying ride on toy for your kid.